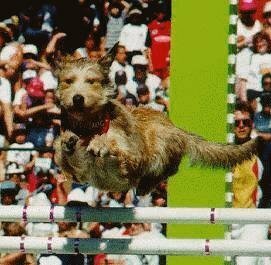 Star of the movie "Daniel and the Superdogs"
I brought Euro back with me from the World Championships of Agilty in France, as an 8 week old puppy. 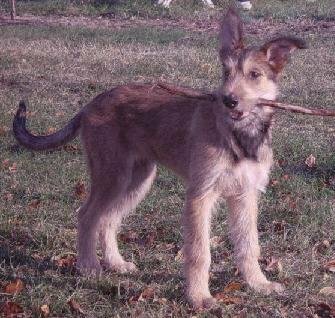 Going to be in France, have to bring back a French dog! 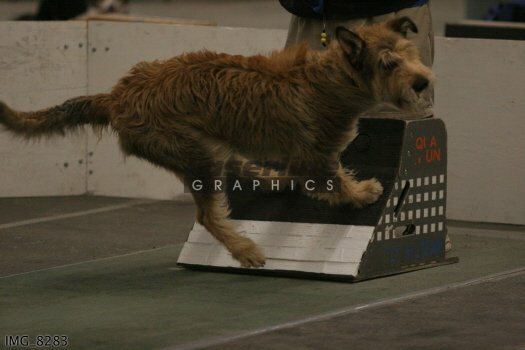 At one and a half years old Euro was already titled in Flyball and on his way to titling in agility. 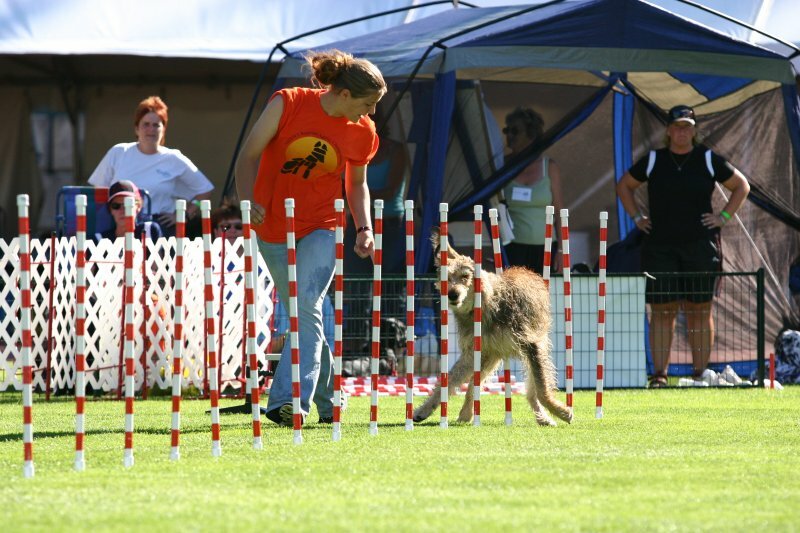 He started out with Kirstin, who was a Junior Handler at that time, and they had great fun figuring out how to navigate those agility courses together. 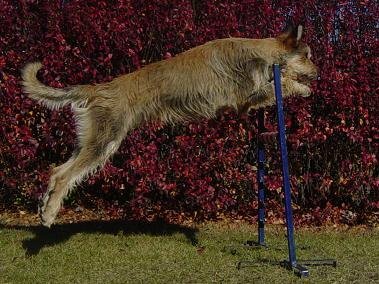 Euro is amazingly agile for his size, and when he wants to play he can keep up with the best of them. 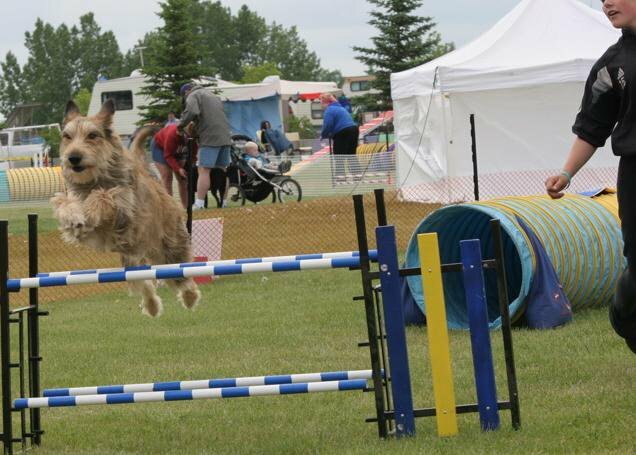 He loves Superdog Shows, and feeds off the excitment of the crowd and the other dogs. 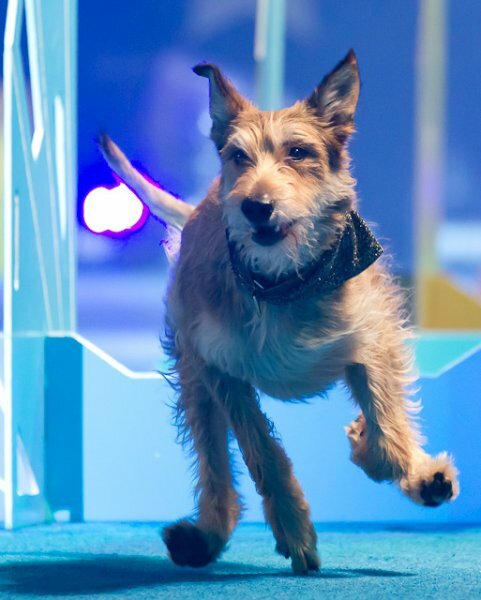 Even though he is VERY competitive, he remains very gentle, both with his people, and with any other dogs or pups he meets. 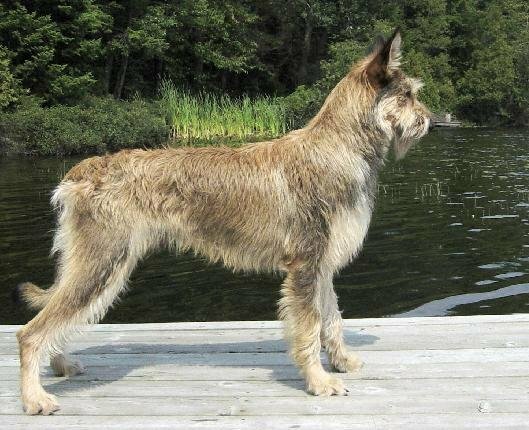 He was introduced to sheep at a year, but he was a bit too exhuberant to take it seriously, and wouldn't stop running around, and around, and around, and around them, so that would take some work. 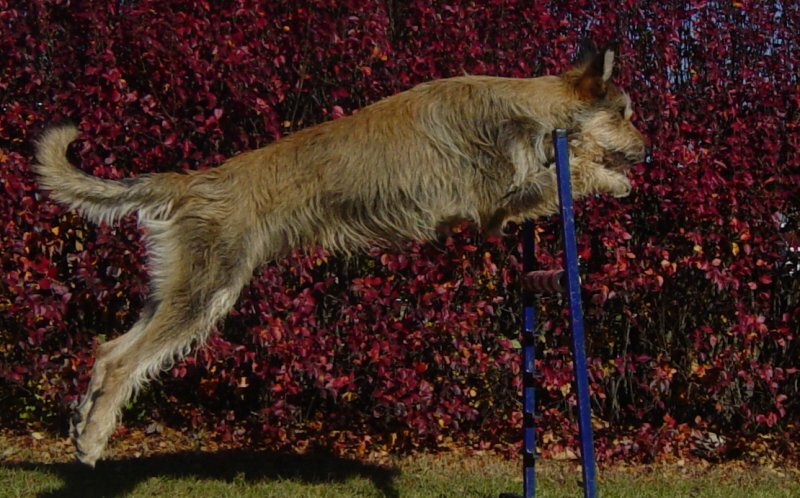 He will probably be better suited to bigger stock, and we are hoping to get him on cattle at some point. 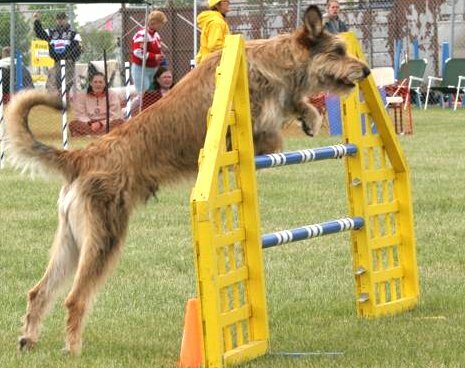 Euro and Kirstin qualified for, and competed in, the 2006, 2007, and 2008 Canadian National Agility Championships. 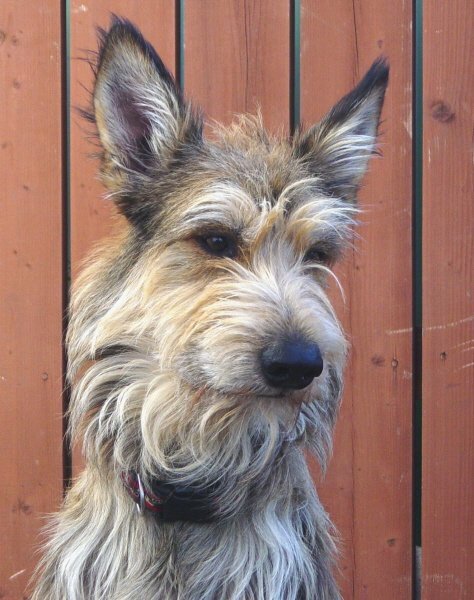 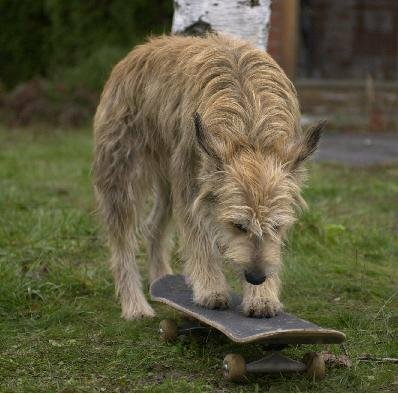 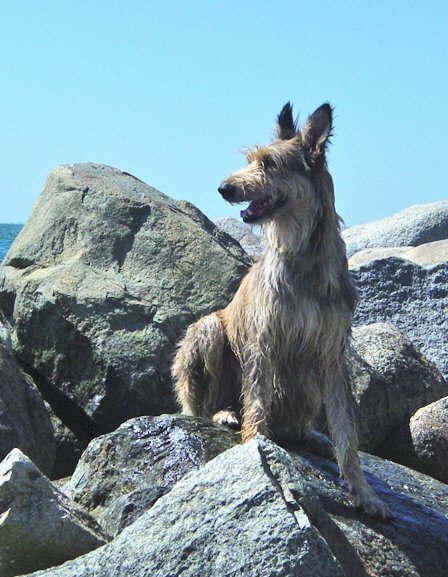 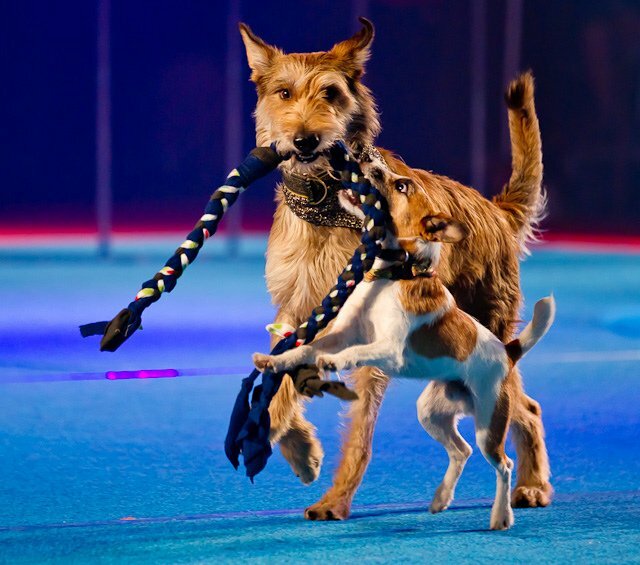 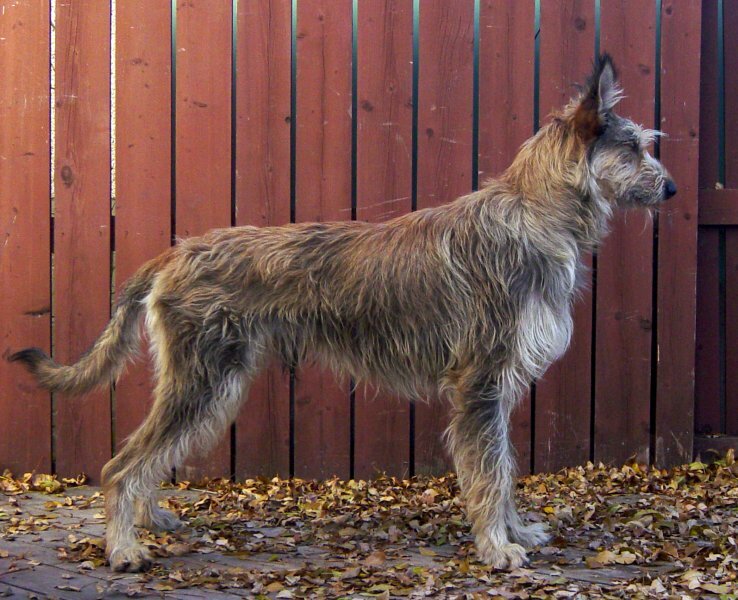 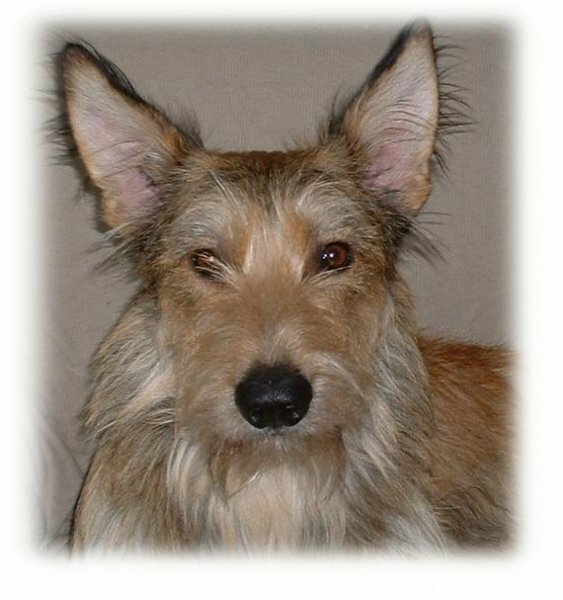 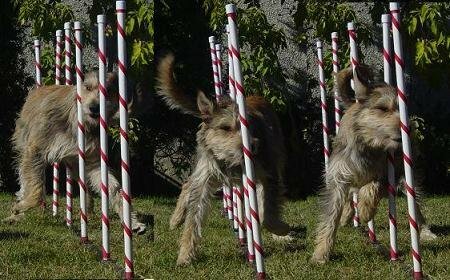 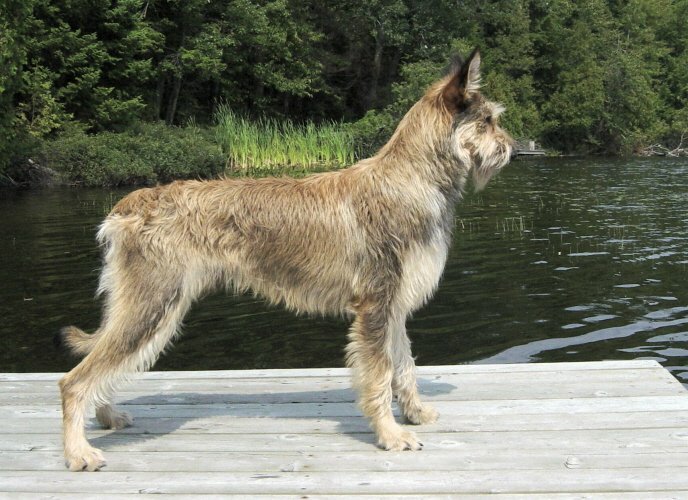 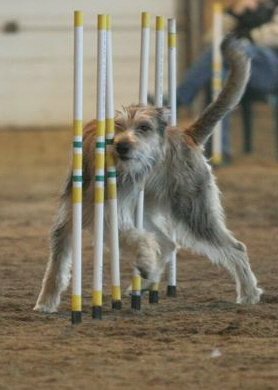 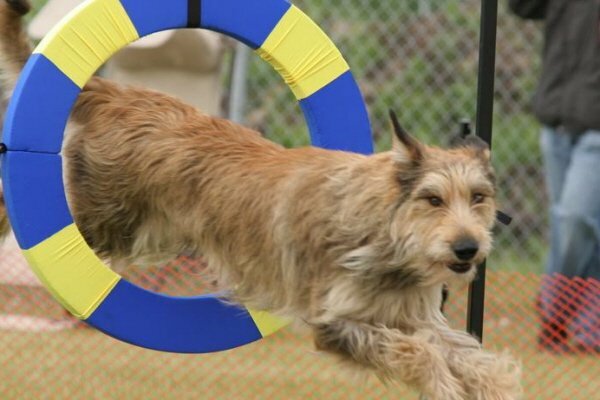 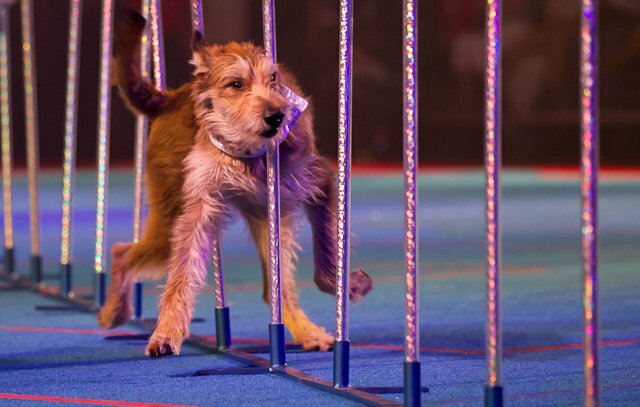 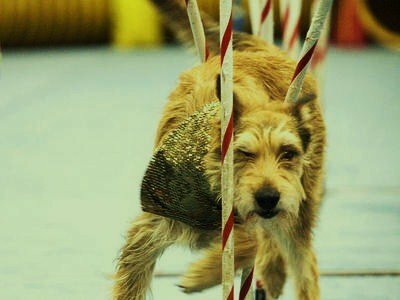 At the Nationals Championships in 2006 he became the first Berger Picard to sucessfully navigate the 60 weave pole challenge. 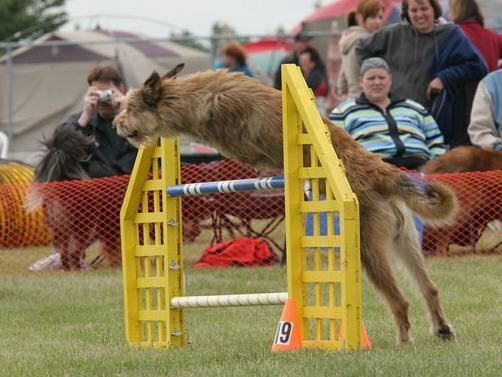 In Frisbee Euro has the Alberta record for longest catch, and he has placed 1st in every disc dog trial in Alberta that he has competed in. 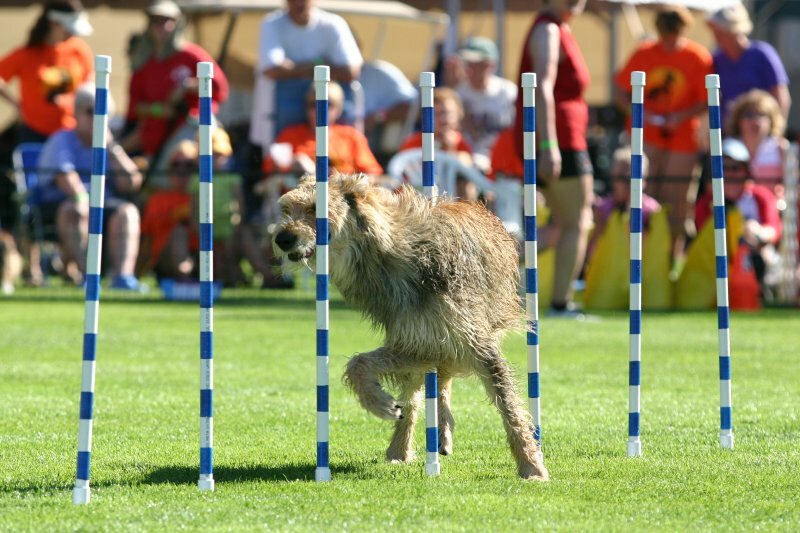 It helps that Kirstin is pretty adept at those LOONNNNGGGGG throws. 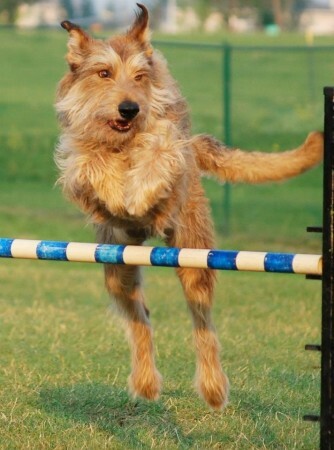 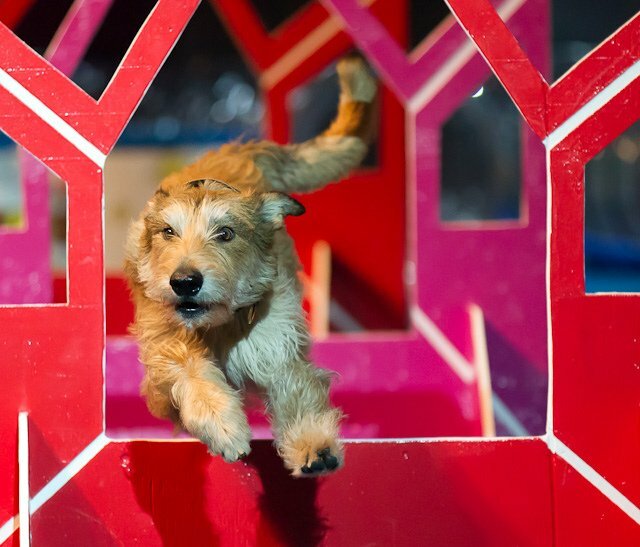 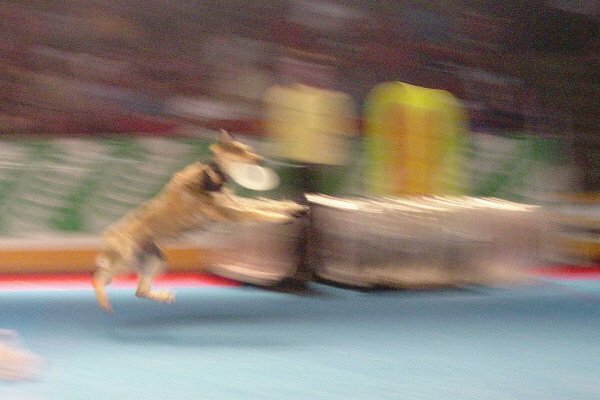 Flyball is one of Euro`s favorite sports, and even though he is challenged by his large size, his flexibility and agility help keep his box turn tight, for times averaging in the low 4 second range. 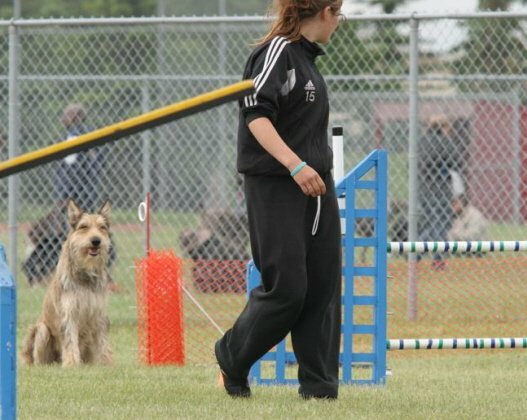 He has also started schutzhund work with Micheal Ellis, and really enjoys biting that sleeve. 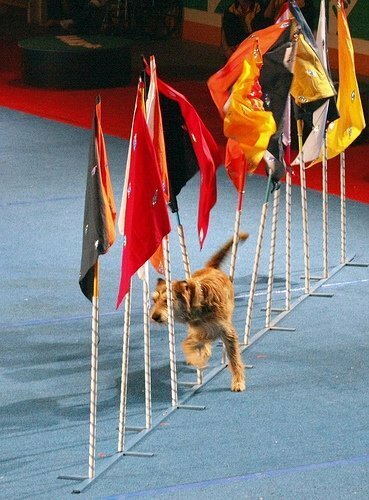 Euro is now retired from competition.